The gearbox is an important part of a wind turbine. It provides system motion that is essential for wind power generation. Therefore, the condition of a gearbox shouldn’t be neglected, lest the operator faces grave consequences. No less important for proper maintenance is to know more about wind turbine gearbox types and designs. There are several wind turbine gearbox types. Although they differ in design and principle of operation, their function is always the same. The main function of gearboxes in wind turbine systems is rotation speed regulation and efficiency improvement. In order for the compact electric generator to work well, some parts must move extremely quickly, since generated voltages depend on how much power a wind turbine produces. However, the turbine blades themselves cannot move very fast because of centrifugal forces. Thus, a gearbox is needed to increase the speed of rotation of the slow turbines to faster generator turns. One of the alternatives to gearboxes are larger generators with permanent magnets, but they are much more expensive than wind turbine gearboxes. Different wind turbine gearbox types have various parameters and advantages. At the same time, there are also limitations. It is not difficult to find out that each type is suitable for specific types of turbines. The physical properties of gearboxes vary depending on their types. Usually, wind turbine gearboxes are made of steel, aluminum or brass. Other material may also be used. All wind turbine gearbox types have their unique form and special features. These facts are very important to remember for proper gearbox oil maintenance. Picture 1. Planetary Gears Planetary gearboxes are so named because of their similarity to the solar system. The components of the planetary gearbox include a sun gear, an annular gear and planetary gears. The sun gear is the central gear fixed in the center, an annular cogwheel (anulus ring) is the outer ring with internal teeth, and planetary gears rotate around the sun gears and the grid with the help of both the sun gear and the ring gear. The components of planetary gearboxes are usually made of aluminum, stainless steel or brass. Planetary gearboxes are highly efficient. They have strong resistance to shock, and a high torque to weight ratio. They also show better stability than any other wind turbine gearbox type. 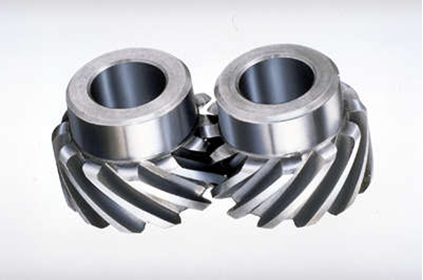 Steel gears can be noisy when coming into contact with other gears. This design also makes them prone wear. That demands constant and complex maintenance and a complex automatic wind turbine oil system. Picture 2. Spur Gears Spur gears have straight teeth and are mounted on parallel shafts. 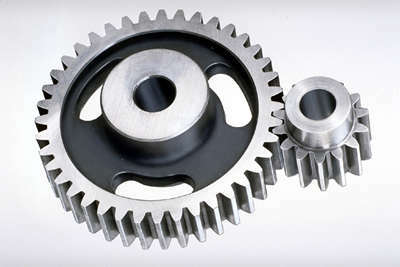 This type of gears may have different sizes and gear ratios that meet the requirements for certain speed and torque. 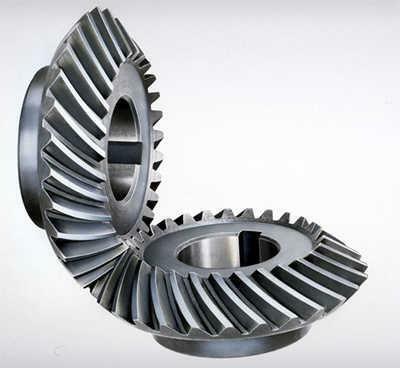 Spur gears are usually made of steel or brass. Other common construction materials are polycarbonate and nylon. Spur gear provides efficient speed control. It has high torque output. It is useful in wind turbines which require strong speed regulation and even decrease the speed if needed. Similar to a planetary gearbox, a spur gearbox can be rather noisy and may wear rapidly. So constant attention to the lubrication system is crucial for this type of gearbox. Picture 3. 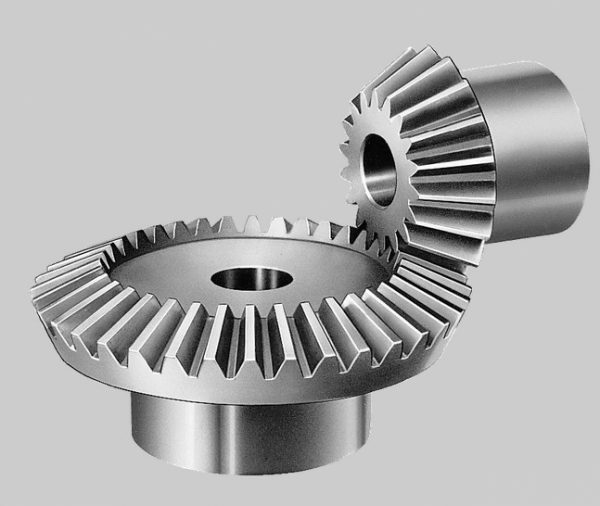 Simple Bevel Gears There are two types of bevel gears: with straight and spiral teeth. They may consist of cast iron, aluminium and other similar metals. Bevel gearboxes are usually mounted in right angle applications with a perpendicular shaft. 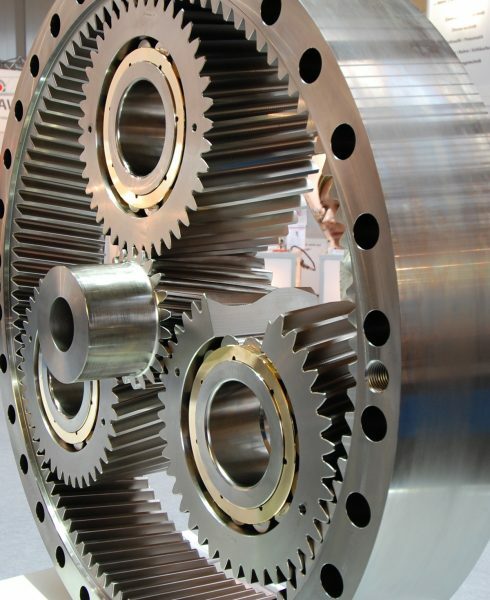 Bevel gear fits wind turbine system with right-angle configuration. Poor teeth cut can cause strong vibrations and noise. Picture 5. Helical Gears Helical gears have a cut at special angle that allows gradual and smooth contact between each of gear teeth. It provides rather quiet operation.Their materials are usually cast iron, aluminium or iron. Gearboxes using helical gears are applicable to wind power plants with big and efficient electricity performance. Helical gears make wind turbine operation almost noiseless and quiet. At the same time they are very efficient and have high horsepower. Although gears teeth in such a position do not wear fast, there might be hard axle load. Picture 6. Worm Gear Worm gearboxes are used in units that require high speed and big loads. 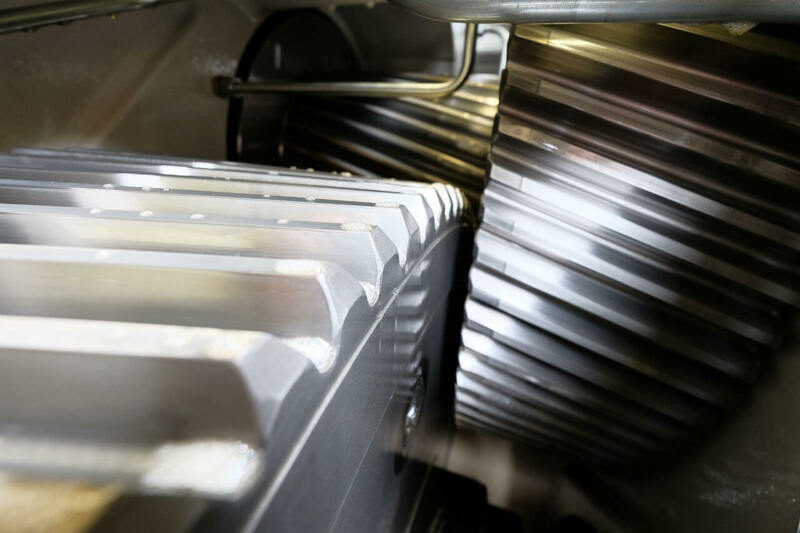 Worm gear can be designed for right-angle systems. 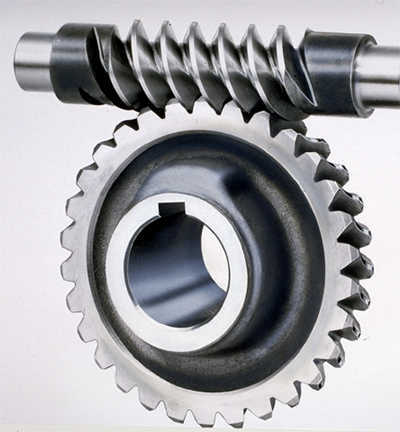 Worm gears are resistant to wear. They also generate low noise. The only disadvantage is that worm gear has poor efficiency. So it is reasonable to use only with power plants of low capacity and for small amount of energy production. Oil system plays an important role for wind turbines. Gearboxes need constant lubrication as they have tendency to wear due to intensive work. In turn, the lubricating oil system needs care and service too. If you neglect wind turbine oil servicing, gearboxes will age quickly. Consequences of wind turbine gearboxes and oil aging may be not only undesirable, but also very dangerous! First of all, oil analysis, which determines the general oil system condition is necessary. The next step should be oil changing or purification. GlobeCore company produces the machines for wind turbine oil servicing. With the CMM-G and the CMM-GL you can easily pump the oil out of a wind turbine and purify it to as new condition. Also, the plants can flush the gearboxes and oil reservoirs. There are also dozens of other possible options. This plants will help wind energy industry manufacturers to properly maintain wind farms. .